HarperCollins Publishers has acquired World English rights to DRAGON TEETH by bestselling author Michael Crichton. Harper Publisher Jonathan Burnham and Executive Editor Jennifer Barth negotiated the deal with CrichtonSun’s Sherri Crichton through Sloan Harris and Jennifer Joel of ICM Partners and Michael S. Sherman of Reed Smith LLP. The book will be published in May 2017 in the U.S., U.K., Canada, Australia, New Zealand and India. The “Bone Wars”—the bitter feud between rival naturalists Edward Cope and O.C.Marsh—pretty much defined vertebrate paleontology in the United States during the late nineteenth century. As ugly as the Cope-Marsh spat was, it played a large role in bringing to light the fossil riches of the American West, since the two men financed prospecting and excavation in some of the country’s most important bone beds. A lot of the “classic” dinosaurs that are household names first came to scientific attention in the papers they published. Their rivalry has fascinated me since I was a kid; in fact, when I was an undergrad, I did my capstone research project on it. With summer winding down, I thought I’d try to squeeze in one last historical day trip. 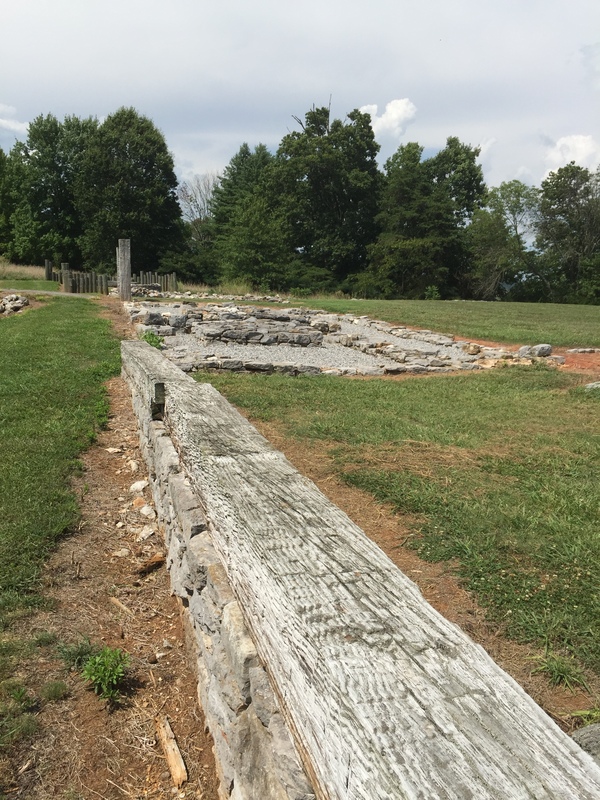 This past weekend I headed south of Knoxville to the Little Tennessee River watershed, heartland of the eighteenth-century Overhill Cherokee towns. It’s one of the state’s richest historical and archaeological regions, and much of it, alas, is underwater. 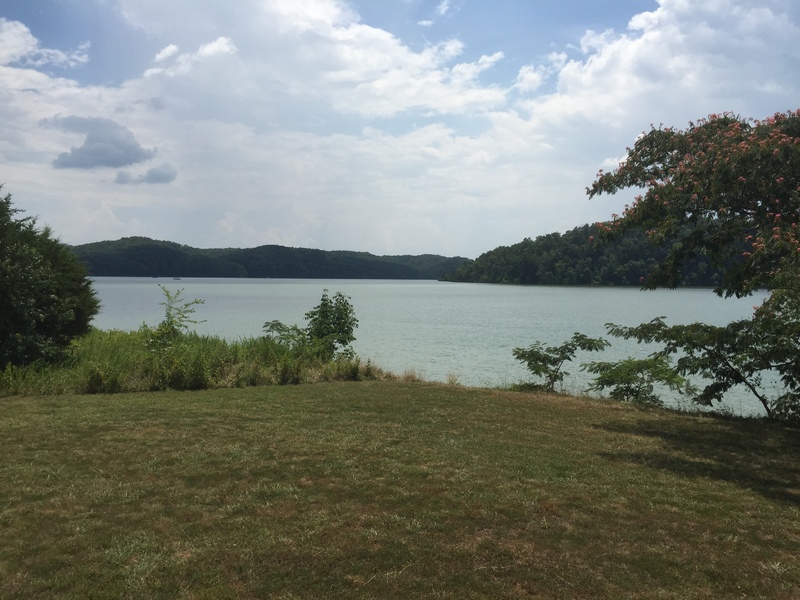 The construction of Tellico Dam in the 1970s turned this stretch of the Little Tennessee into a reservoir that flooded Native American sites dating back thousands of years. 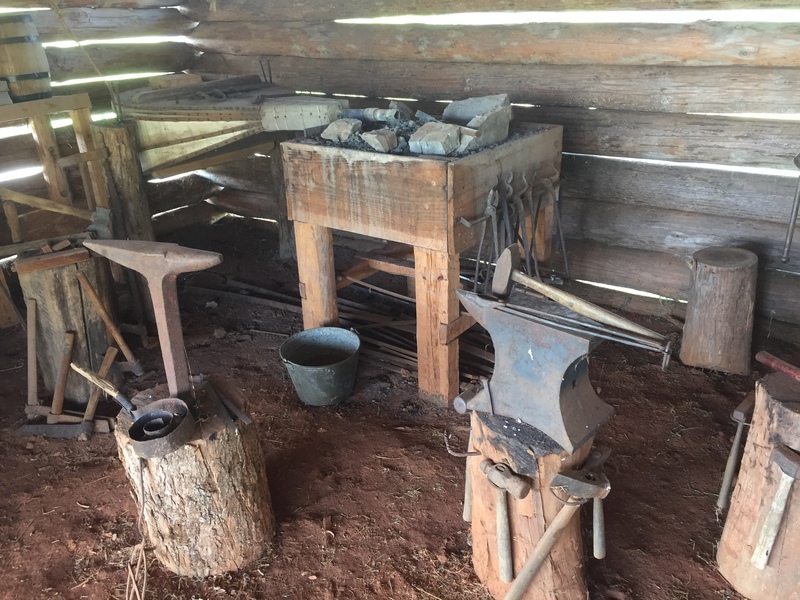 Fortunately, archaeologists conducted salvage excavations before the waters rose, and you can see the fruit of their labors at places like the Sequoyah Birthplace Museum, my first stop of the day. The inventor of the Cherokee syllabary was born during the American Revolution at the Overhill town of Tuskegee near Ft. Loudoun, a British outpost constructed during the French and Indian War. (I wrote a review of Ft. Loudoun State Historic Site waaaayyyy back in 2009.) 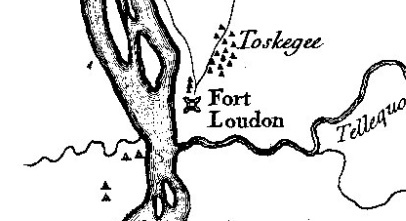 Lt. Henry Timberlake visited the area in late 1761 on a peace mission following the Anglo-Cherokee war; his 1765 map shows the close proximity between the fort and Sequoyah’s hometown. The museum isn’t technically on the actual townsite, since Tuskegee disappeared under the reservoir’s waters when the dam closed. 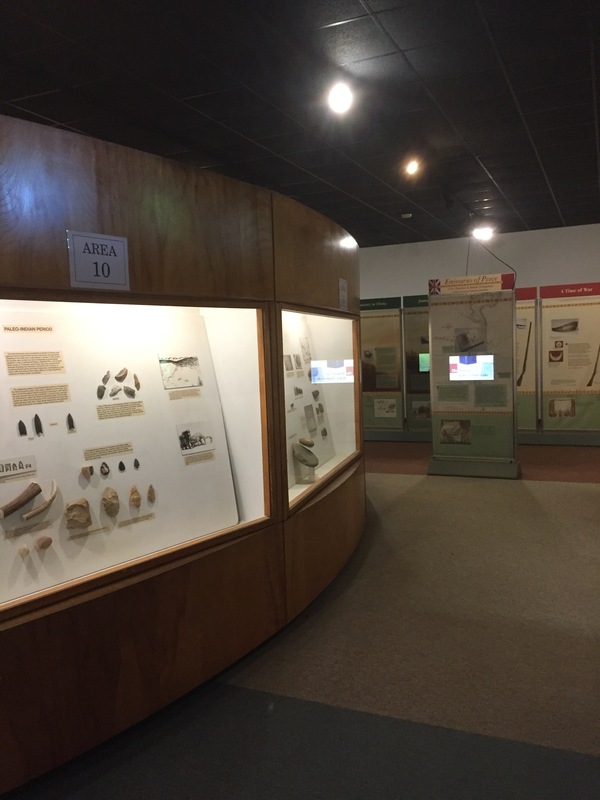 But it still offers a nice overview of the region’s Native American history going all the way back to the Paleoindian period. 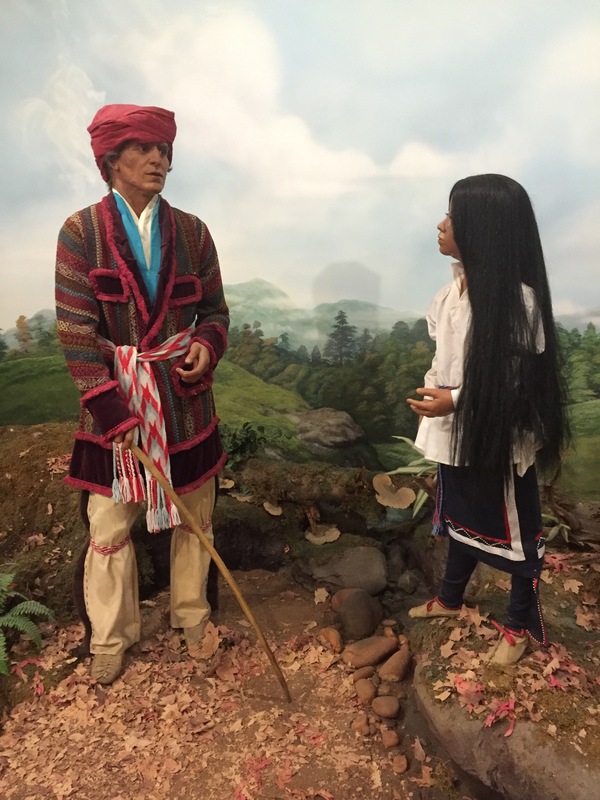 Of course, the museum also covers Sequoyah himself and the process by which he created a new written language from scratch. But if you ask me, the most impressive thing to see at the museum is this burial mound. 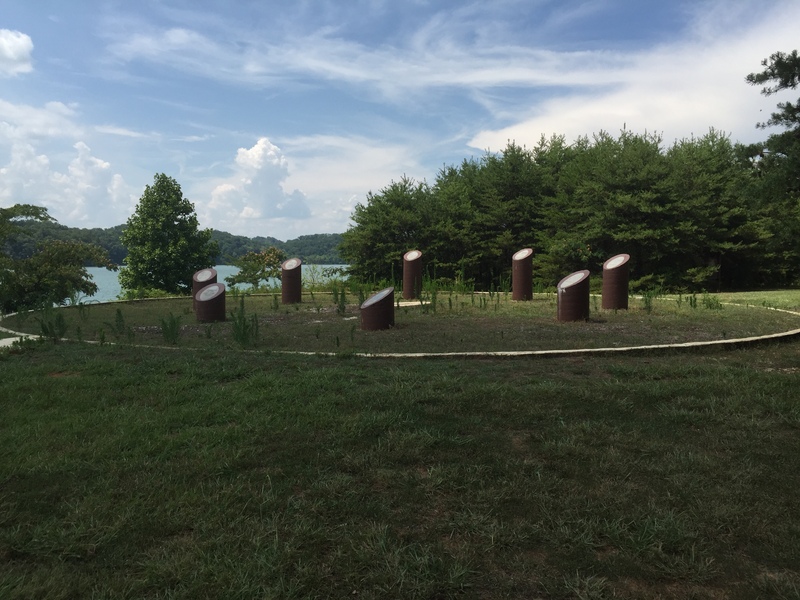 It holds the remains of 191 Native Americans discovered during the salvage excavations conducted before Tellico Dam inundated the area. One of the townsites the dam obliterated was Tanasi, located about five and a half miles southwest of where the museum now stands. In the 1720s it was among the most important of the Overhill Towns; now the only indication that it existed is a marker by the side of the reservoir. If you’re interested in seeing it, just follow the signs as you leave the parking lot of the Sequoyah Birthplace Museum. Timberlake’s map popularized the spelling of the town’s name as “Tennessee.” Nobody knows who had the idea to apply it to the sixteenth state, but an early tradition holds that it was Andrew Jackson, who served as a delegate to the 1796 constitutional convention in Knoxville. 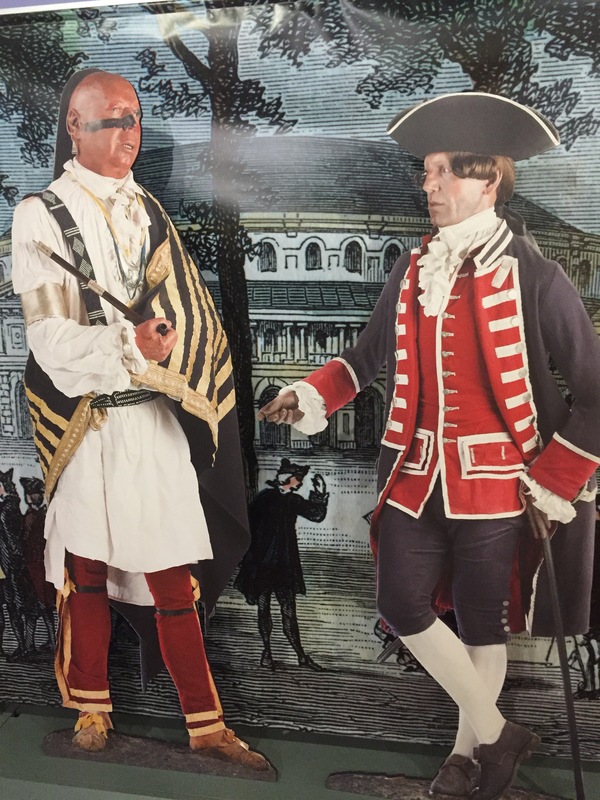 By the time of Timberlake’s visit, Chota had eclipsed Tanasi as the principal Overhill town, and it remained a sort of de facto Cherokee capital during the tumultuous years of the Revolution. In December 1780, following the victory of his Washington Co. militia at King’s Mountain, John Sevier marched south to the Little Tennessee and put the towns to the torch as the Cherokees fled before him. Joined by Arthur Campbell’s Virginians, the troops stopped at Chota on Christmas Day. After enjoying some much-needed provisions, they burned the town on the 28th. 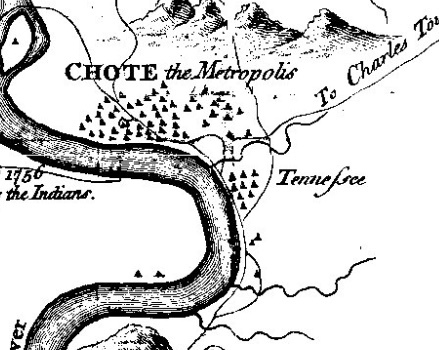 The Cherokees rebuilt Chota, but Sevier’s campaign marked the beginning of its decline, and by the 1790s it was a shadow of its former self. 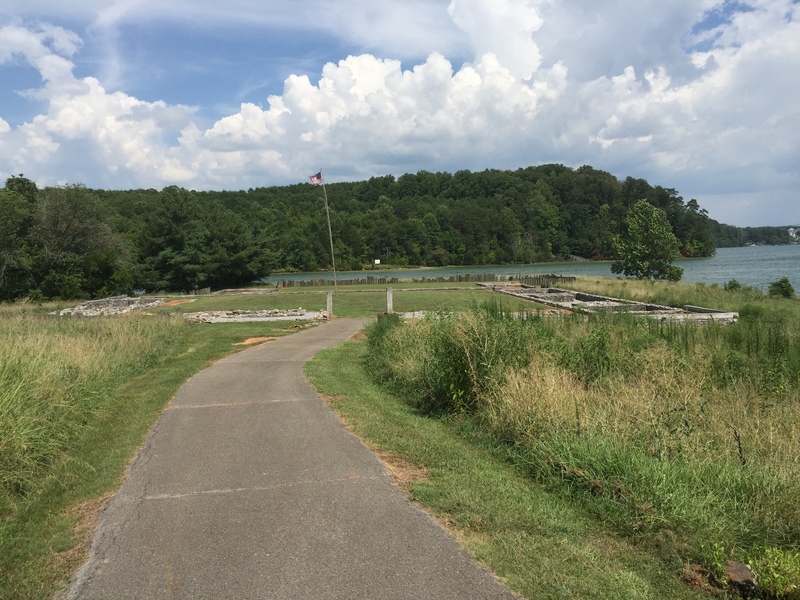 If you head north from the Tanasi marker and proceed for about a mile, you’ll come to a sort of circular cul-de-sac and a grass-covered path. The path leads to the site of Chota’s townhouse, which the TVA raised above the level of the reservoir’s waters. The pillars stand for the Cherokee’s seven clans, with an additional pillar for the entire nation. 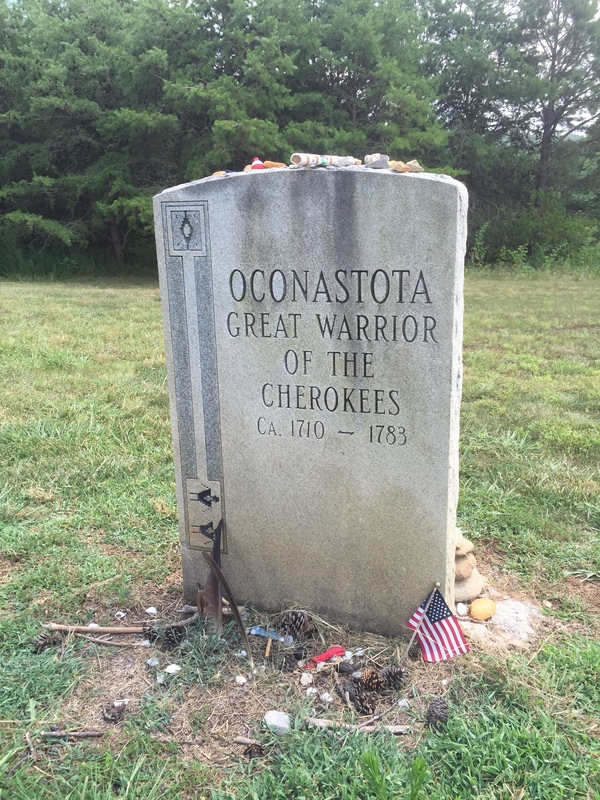 Beside the monument is the final resting place of Oconostota, one of the most prominent leaders, warriors, and diplomats of the eighteenth-century Southeast. Goods interred with his body allowed archaeologists to identify his grave during the salvage excavations. He was re-buried next to the townhouse site in 1989. Because the TVA elevated the site of the townhouse, it’s the only part of Chota that’s still high and dry. If you want to see the rest of the townsite for yourself, you’d better know how to scuba dive. With independence won, the new U.S. government inherited the same frontier problems that had plagued the British: keeping Native Americans and settlers from killing each other, regulating the Indian trade, and securing land cessions from the tribe. This site, north of Chota and within spitting distance of the site of Ft. Loudoun, was intended to help accomplish those objectives. 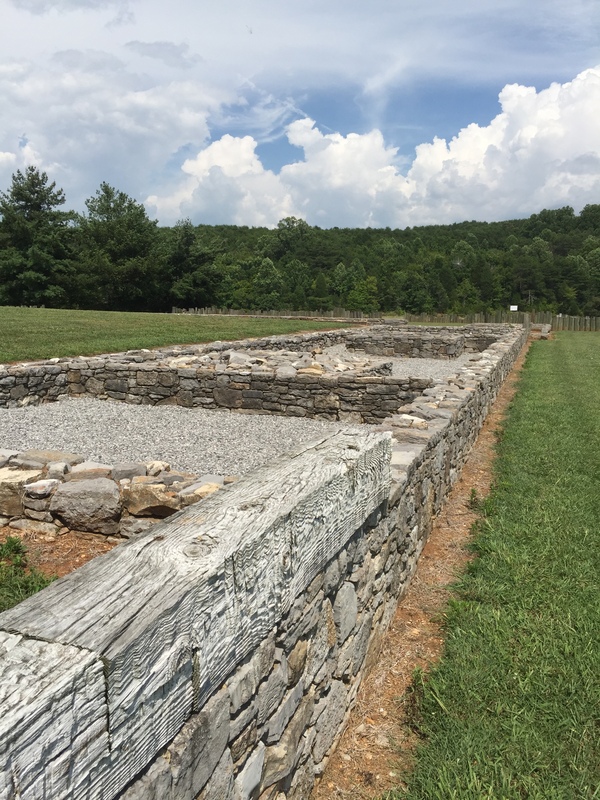 These are the remains of Tellico Blockhouse, constructed in 1794 at the request of Cherokees exasperated at white encroachment. 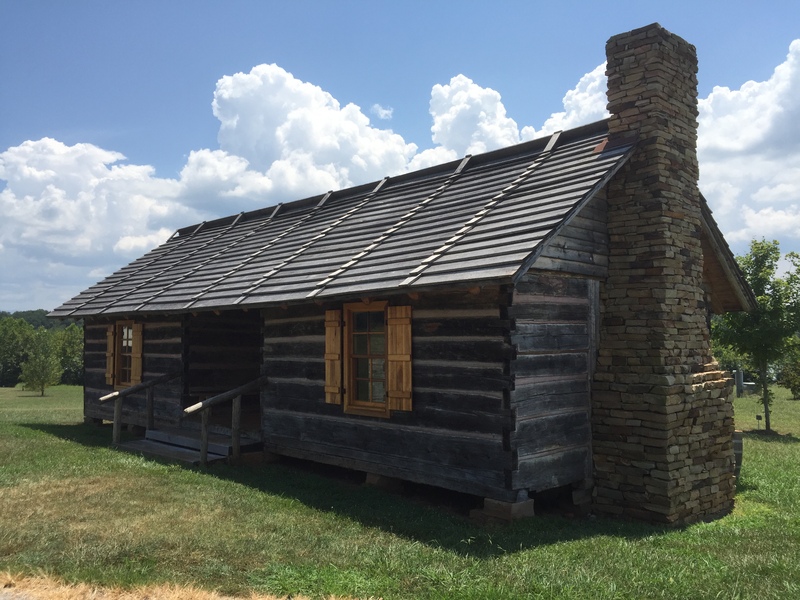 The blockhouse served as a garrison for federal troops, a trading post (or “factory” in the contemporary terminology), and a conduit for communication between the national government and the Cherokees. A regulated trade brought under federal control would hopefully stem the abuses Indians suffered at the hands of unscrupulous merchants, while the presence of soldiers would rein in the cycles of violence that erupted whenever frontiersmen and warriors took the law into their own hands. The fort was also intended to be a vector for civilization. Federalist policy toward the southern tribes emphasized acculturation, in the hope that Indians who adopted white ways would be more amenable to land cessions. 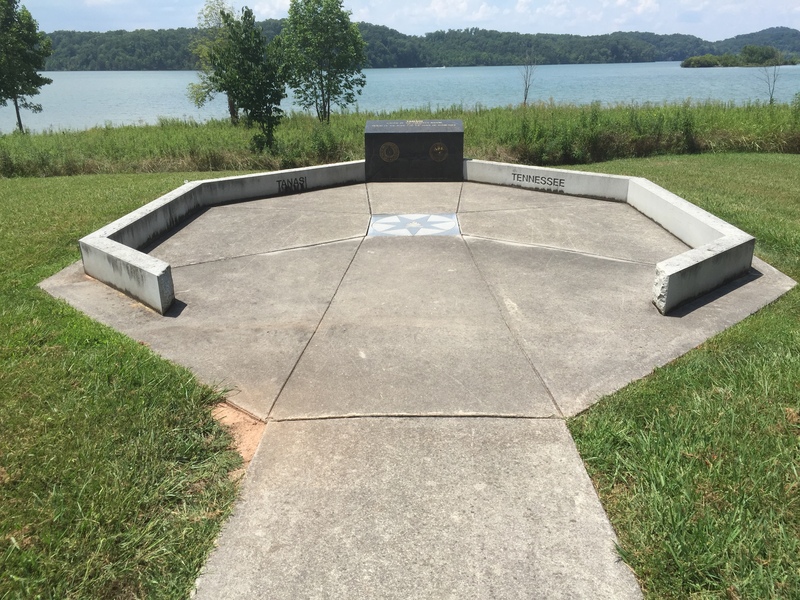 Silas Dinsmoor, the second Indian agent stationed at Tellico, accordingly supplied the Cherokees with tools and the means to spin their own cloth. 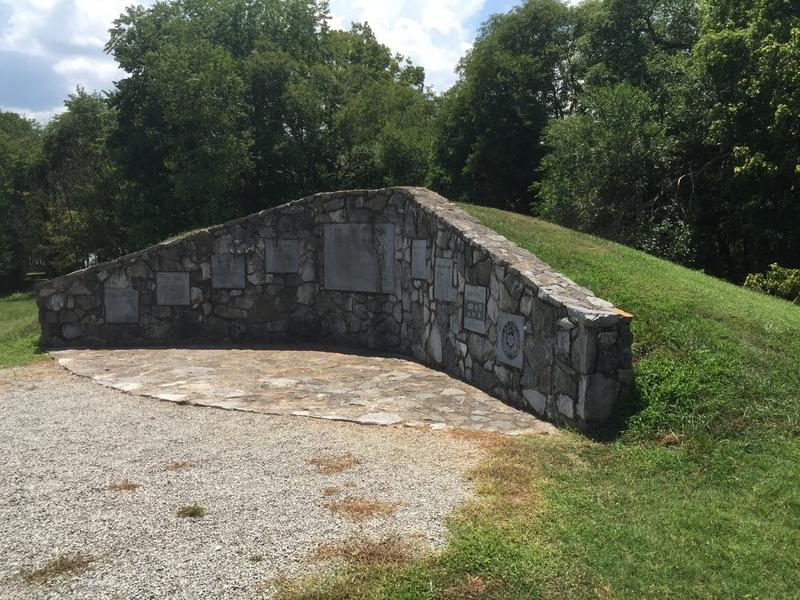 The U.S. and the Cherokees did indeed negotiate a number of treaties at the blockhouse before the federal government moved its operations south to the Hiwassee River in 1807. But neither these piecemeal cessions nor the Indians’ adoption of Euroamerican agriculture and cloth making satisfied their white neighbors’ land hunger. “Frontier whites did not want Indians civilized,” writes historian John Finger. “They wanted them out.” And eventually they got what they wanted. Having read about and researched backcountry Rev War battles for years, it seemed high time I loaded and fired a flintlock rifle for myself. I got the chance a couple of days ago, thanks to some of our living history volunteers at Marble Springs. I’m not that familiar with modern guns, so on the rare occasions when I fire them, somebody usually has to walk me through it. (“Here, pull that thing back. No, not that one. Wait, the safety’s still on.”) The weird thing about preparing to fire the flintlock was that I pretty well knew what to do at each step, since a lot of the books I’d read described the whole process from start to finish. It felt a bit like doing something you’d done many times before but hadn’t done for a long while. The biggest surprise was the recoil—or rather the lack of it. Compared to the modern weapons I’ve fired, the flintlock was very easy on the shoulder. It was more like a firm nudge than a kick. It did take quite a bit more effort to ram the round than I expected. Of course, I’d read enough about eighteenth-century weapons to know that you needed a fair amount of elbow grease to load a firelock with a rifled barrel. But the experience of actually doing it for myself drove the lesson home, just as my brief stint as a Rev War artilleryman a few years ago gave me a more visceral appreciation of statements I’d read in veterans’ accounts. I think that visceral sort of knowledge is useful, even if you won’t always be able to convey it in your research and writing. Hey Knoxville! Come have dinner and vote for Marble Springs! If you’re a Marble Springs fan or a Tennessee history buff, let me encourage you to come to the South Knoxville Alliance’s Knoxville SOUP dinner on July 7th. For a donation of five bucks, you get a meal, and four organizations will give short presentations on projects they’d like to undertake. Then, all the attendees vote on the best proposal, and the winning organization gets the take from the door. Marble Springs is competing to support our Farmers Market, one of our programs that offers something really cool to folks in our community. The more of our supporters who attend and vote for us, the likelier we are to win. Hope to see some of you this Thursday at the South Knoxville Community Center, 522 Maryville Pike, Knoxville, TN 37920. The doors open at 6:00 p.m. Critics have taken the film to task because the plot meanders, because it seems to lack focus, because it tries to do too much, and because the story just sort of tapers off—it “fizzles out long before it ends,” as one critic put it. From a filmmaking standpoint, these criticisms make sense. Narratives aren’t supposed to meander and then fizzle out. Storytellers are supposed to keep things rolling along until events reach a dramatic crescendo and a full resolution. In Jaws, when Chief Brody detonates that air tank and sends chunks of great white shark into the stratosphere, you know the movie’s over. Some historical stories conform to these conventions of dramatic narrative. Gettysburg establishes a few important characters at its outset, then adds in more and more narrative threads, intensifies, and finally reaches a grand climax of resolution. That happens to be the way the battle played out, so in that case the filmmakers could follow dramatic convention and be faithful to the events they were portraying. Free State of Jones hits its crescendo near the middle, as Newt Knight’s struggle against the Confederacy becomes an outright war. After this comes a long, dispiriting declension, in which much of Knight’s work is undone by the retreat from Reconstruction and the return to power of the same people he fought against during the war. The movie doesn’t end with an exclamation point or a period, but an ellipsis followed by a question mark. Having read a lot of reviews of the film, I think critics would have reacted more positively if it had been a more straightforward Civil War film, a story of an insurgency culminating in the Confederate flag coming down in front of the Jones County Courthouse and the Stars and Stripes going up. True, that narrative would’ve been less choppy and rushed, and it wouldn’t have “fizzled out.” But Gary Ross made a deliberate decision to take a longer view of the Civil War era, one that includes the reversals of Reconstruction. Regardless of whatever liberties Free State of Jones takes with specific incidents or characters, that decision took guts. And that, I think, is one reason why historians have reacted to the film more positively than movie critics and audiences. When you’re dealing with history, you don’t always get a story that conforms to narrative convention. With history, the story sometimes meanders. It moves in fits and starts, it doubles back on itself, and it tapers off into uncertainty. That’s exactly what happened in the case of Reconstruction. If you consider Appomattox to be the end of the Civil War, then the story makes good narrative sense. It all gets wrapped up in a neat package, with the various narrative threads resolved, the slaves freed, and the Union back together. But when you take the long view of the Civil War era—as historians often do and as Free State of Jones does—it’s a story of reversals, marked by lulls in the action. And it’s a story that does indeed fizzle out, just as the nation’s commitment to the war’s gains fizzled out in the 1870s. Maybe that story isn’t as emotionally satisfying as the ones people are used to hearing about the Civil War. But I’m glad we got a movie that told it, even if it hasn’t caught on with critics and audiences.